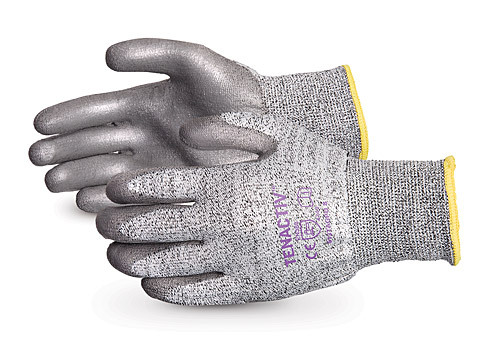 Superior® TenActiv™ Composite Knit Cut-Resistant Gloves with Grey PU-Coated Palms These cut-resistant gloves are part of Superior Glove’s new product line: the TenActiv™ Series, featuring gloves knit with high-tenacity composite yarns that are designed to meet a range of applications, all at a great price. 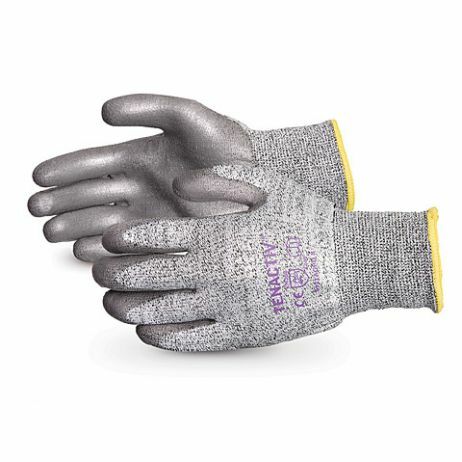 All TenActiv™ gloves feature lint-free, continuous filament yarn that is stronger than steel on an equal-weight basis. This polyurethane-coated style offers a high coefficient of friction that is non-shedding, making them ideal for those working with circuit boards or any application where contamination is of concern.